If you like using the lemongrass herb (Cymbopogon citratus) in your soups and seafood dishes, you may have found that it’s not always readily available in your local grocery store. You may have wondered how to grow lemongrass on your own. You can grow your own lemongrass plants, and in fact, growing lemongrass and propagating lemongrass is not all the difficult and you don’t have to have a great green thumb. 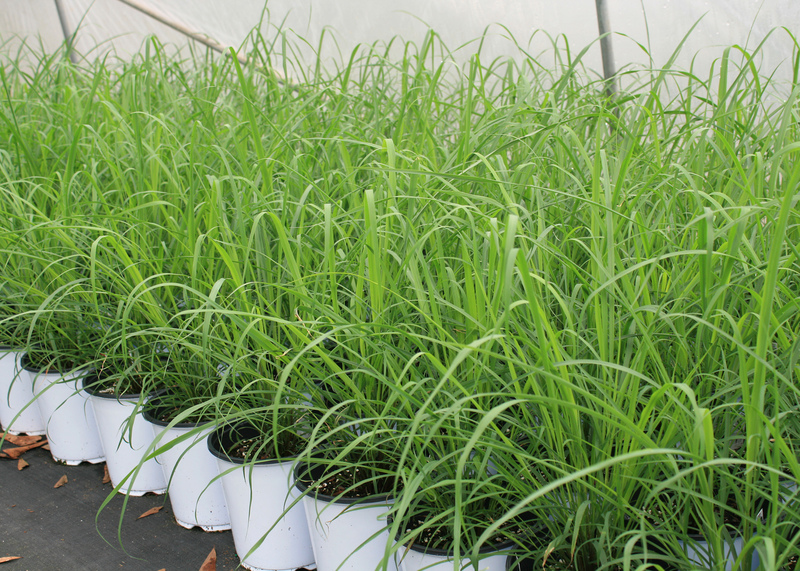 Let’s take a look at how to grow lemongrass. How Do I Grow Lemongrass? When you go to the grocery store, find the freshest lemongrass plants you can buy. When you get home, trim a couple of inches off the top of the lemongrass plants and peel away anything that looks somewhat dead. Take the stalks and put them into a glass of shallow water and place it near a sunny window. After a few weeks, you should start seeing tiny roots at the bottom of the lemongrass herb stalk. It’s not much different than starting any other plant in a glass of water. Wait for the roots to mature a little more and then you can transfer the lemongrass herb to a pot of soil. Growing lemongrass is as simple as taking your started plant out of the water and putting the rooted stalks into a pot containing all-purpose soil, with the crown just below the surface. Put this pot of lemongrass plants in a warm, sunny spot on a window ledge or out on your patio. Water it regularly. If you live in a warm climate, you can plant your lemongrass plants out in the backyard in a bog or pond. Of course, growing the plant indoors is nice for having easy access to the fresh plant whenever you need it. Propagating lemongrass is just as easy as starting new plants from store-bought lemongrass herb. Again, take a couple of inches off the top of the grown plant and place them in water in a glass on a window sill. Wait a few weeks and you will once again have a lemongrass herb ready for planting.